Debt Management is a simple process to reduce and clear all outstanding debts without obtaining further credit. The Debt Management Company you choose to use will deal directly with your creditors and negotiate on your behalf and will seek to have charges dropped and interest frozen. It is an informal and flexible arrangement designed to suit your circumstances and needs. Payments are tailor made in line with what you can afford. Creditors prefer Debt Management to other processes for resolving financial difficulties. Your details will not be put on the Insolvency Register. All unsecured debts such as loans, credit cards, store cards and bank overdrafts are covered. 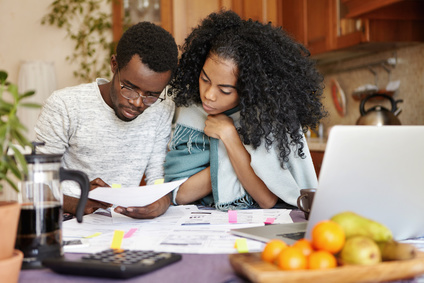 Your secured debts such as your mortgage or HP agreements are prioritized in your income and expenditure calculations, so that you do not fall behind on these payments. How much will I have to pay into a Debt Management Plan? Only what you can realistically afford. The amount you pay each month,usually by standing order, will depend on your income, your expenditure and your personal circumstances and will be calculated to suit your individual needs and those of your family and dependents. Will my Creditors accept my Offer? Not necessarily. There are many good Debt Management Companies offering their services who will negotiate with your creditors and who have a track record of getting offers accepted. However, creditors do not have to accept reduced payments or freeze interest and charges and there is no guarantee that any existing or threatened proceeding will be suspended or withdrawn and any collection costs incurred by your creditors will normally be added to your debt. The Debt Management Company you choose to use will keep you informed of the progress of negotiations. Will my employer know about my Debt Management Plan? No. Reputable Debt Management Companies offer complete confidentiality and privacy in relation to your financial affairs. No information about you is disclosed to any outside organizations including your employer. Particular care is taken when making contact with you to ensure that others will not find out about your circumstances. Will I have to open a new bank account? Yes, you almost certainly will have to open a new bank account. Most people nowadays have their wages/salary/benefits paid into a bank or building society with which they also have debts – such as an overdraft, credit card or loan. This can be quite messy when the Debt Management Programme commences, since your existing bank or building society may seek to use all of your wages/salary/benefits to address the deficits in your accounts with them, to the disadvantage of your other creditors. So it is best to open a new bank account with a bank or building society that is not connected to your existing bank. You will have to ensure that your wages/salary/benefits are paid into this new account and that your priority payments (mortgage, rent, council tax, car HP etc) are made from the new account also. These steps will ensure that you remain in control of your income and that all of your creditors are treated on a fair and equitable basis. What about my existing direct debits? You will have to cancel in writing with your existing bank and with your creditors all direct debits in relation to the unsecured debts that are being entered into your Debt Management Programme. How much will my Debt Management Plan cost me? Debt Management Companies fees vary from one to the other. Most of them charge a set up fee equal to the debtor’s first monthly payment into the DMP. This means that creditors receive nothing for the first month. Thereafter, charges are usually a fixed percentage of the monthly payment made by the debtor. The average monthly charge is 15% with a minimum of around £25 and a maximum of around £100. As you shop around, you will find that charges vary however. Example: you enter a DMP and agree to make monthly payments of £300. Your DMP Company retains the first payment of £300 in respect of set up fees. Thereafter, it charges £45 per month and distributes the remaining £255 to your creditors on a pro-rata basis. Will my Debt Management Plan affect my credit rating? Yes, almost certainly. It may already be affected if you currently have arrears or a history of missed payments or late payments. As your Debt Management Company now negotiates reduced monthly payments to your creditors, it means that you will no longer be making the payments originally agreed and a note of this may be made on your credit file. The credit reference agencies retain such records for six years. How long will my Debt Management Plan last? This depends on your personal circumstances. However, the Debt Management Company you engage should be able to estimate the length of the arrangement, once it has received all your personal information. What will happen if my circumstances change? Because a Debt Management Programme is flexible and informal, it is not as rigid as other processes. Your Debt Management Company will probably have assigned a liaison officer with specific responsibility for your DMP. Keep your contact person fully aware of your circumstances at all times and particularly in relation to any direct correspondence or contact from your creditors or any changes to your income and expenditure. Are there any alternatives to a Debt Management Plan? There are many alternative courses of action if you are in financial difficulty. You should be aware of all of your options before you decide which way to go. Some of the most common alternatives are Bankruptcy, Individual Voluntary Arrangement, Debt Relief Order, Debt Consolidation, Asset Sale & Debt Settlement and Property Remortgage & Debt Settlement. It may even be that financial assistance is available from family or friends.